You just received id an password to connect to our plate-form. - Or prepare and send us this excel file filled, to import and create all signatures a centralized way. 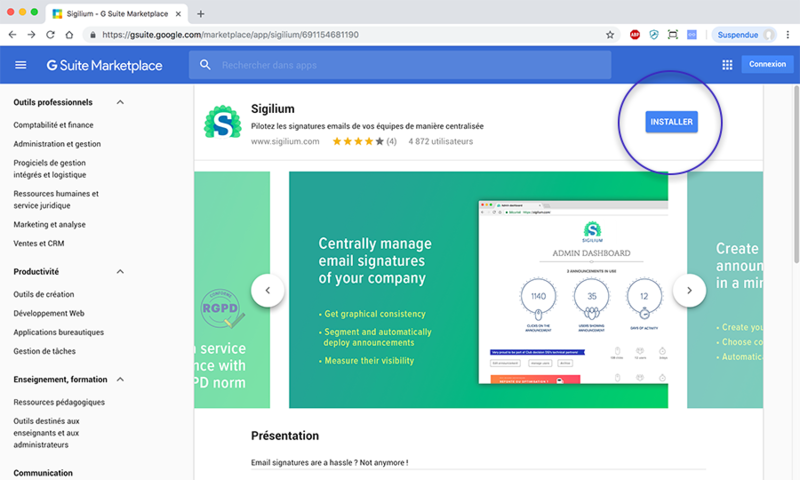 The best and easiest way is to connect Sigilium from the Market Place of Gsuite > click on Install button and validate. Here are more technical details about scope and rights connecting Sigilium with your API. Important : After connecting Sigilium to the Gsuite API, in order to validate synchronisation, please send us the email of the person in charge of your GSuite account.